Yesterday I was feeling a little down about my fundraising efforts. I have been trying to reach more people with the blog and adoption fund sale on Facebook. Today God decided to send us a blessing and reminder that this is His plan and He is in control. Not only have friends been buying items from our sale but we received an anonymous donation of $1000! So thankful for these people whoever they are and how God is using everyone to show us such love and support. So again let me say thank you to all our friends and family that have helped us get to this point. 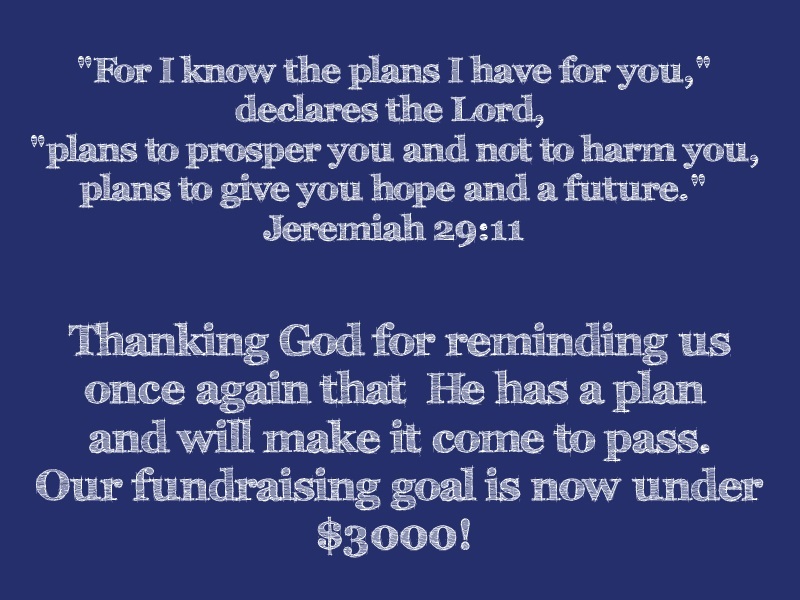 We are now under $3000 needed for our adoption costs. Praise God!